Formed in 1991 Smith’s Environmental Products has grown to become the leading supplier of domestic and light commercial fan-assisted hydronic heat emitters. The complete product range is manufactured in-house in its specialist facilities in the UK. The company is the UK’s market leader and has significant shares of both the North American and European markets. Smith’s Environmental Products is a member of The Swan Group. Early on we developed the Smith’s Space Saver, the UK’s number one plinth heater and the business quickly became established in heating & plumbing. Other fan convectors followed and the very first Caspian commercial fan convector was launched in 2007. Our ambitions have never been modest. The business has grown from strength to strength and today we offer versatile heating solutions based on fan convector technology to all commercial specifiers from architects and consultants, to major building engineering services companies. Our range of Caspian commercial fan convectors can provide products for virtually every heating scenario, with the Smith’s high quality and service excellence people have come to expect. For 2018 we have re-launched our extensive range of updated Fan Coils Units called Aegean. Certified and approved by BSRIA they provide an excellent solution to heating and cooling for all kinds of commercial applications, from restaurants and hotels to office developments, with the ability to rapidly heat and cool large areas with much greater efficiency than other similar heating and cooling systems. In addition to Aegean we have launched a range of Radiant Panels called Sargasso, further extending our aim to be a solution provider for heating and cooling projects in commercial applications. Not a company to rest on its laurels Smith’s will be introducing further products to complement it’s existing range of heating and cooling products in 2018. Operating from 40,000 square feet of factory and office space near Chelmsford in Essex we manufacture our product range from raw materials through to finished product utilising computerised design and automated production techniques. We are happy to welcome customers to visit our factory and Head Office to demonstrate our capabilities. In the last 2 years we have implemented some key initiatives to improve productivity and to ensure the quality continues to meet the highest standards. Lean initiatives such as Kaizen, or continuous improvement process, have brought significant improvements in the factory. Ongoing initiatives such as the implementation of the gemba walk continue drive innovation and to maximize the improvement process. At Smith’s we recognise that quality is about more than just the product, it’s an approach that runs throughout the business and is centred on meeting and exceeding customers’ expectations. Processes are constantly monitored and evaluated with a focus on continuous improvement. Manufacturing facilities are regularly appraised and meet the exacting standards of national approval boards such as UL, CSA and Kema. 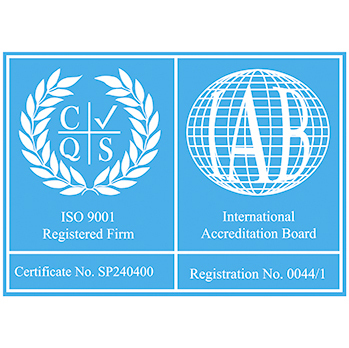 In 2017 Smith’s was assessed for the highly regarded ISO 9001 (2015) accreditation and passed the audit with no non-conformities and was accredited the new standard certification. It brings Smith’s up to the latest standard and assuring our customers receive the best experience possible. In 2018 Smith’s was awarded the prestigious ISO 14001 accreditation. ISO 14001 is concerned with setting an environmental framework for the company to work within. This means that Smith’s has management processes and systems to ensure that they manufacture products that meet the customer and regulatory requirements and are working within designated environmental parameters. 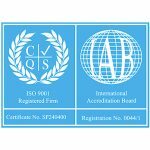 Both ISO 9001 (2015) and ISO 14001 accreditations are internationally recognised and demonstrate that Smith’s is a responsible and forward thinking organisation committed to achieving and maintaining the highest organisational standards. Renewable technology grows apace, with ground source and air source heat pumps offering a viable alternative to boilers as the principal heat generator in both domestic and commercial applications. Inherent in the heat pump’s design is that the smaller the temperature between the heat-source pump (air or ground) and the heat sink/emitter (under-floor heating, fan convector, radiator), the higher the energy efficiency of that heat pump. This higher efficiency means lower fuel bills and greater carbon savings. Fan convectors can work very effectively at system temperatures as low as 40°C. This allows your chosen heat pump to work close to its maximum levels of efficiency, which means it will reduce the user’s energy costs and energy consumption in the way it was intended. By contrast a standard radiator is designed to be efficient at higher temperatures, 45°C and above, which automatically reduces the heat pump’s efficiency by more than 10%. In addition the size of the radiator has to be increased significantly to cope with the lower system temperatures.